As my father's hand had brushed over the paper, I had wondered what influenced his drawing - what gave him inspiration? He would show me some drawing of a city, pointing out where the mage had built a wall, or designed that tower. I knew it wasn't real - but what if it was? Five years after her father's death, Mara believed everything was going great. Her mother had a wonderful boyfriend, Bryce, and Mara was getting used to smalltown life. Her world is turned upside-down when she comes home one day to find Bryce trying to kill them, and an old family friend mysteriously appearing out of nowhere. Injured, Mara passes out, only to wake up with a strange new power called Source, supposedly originating thousands of years ago, from a biochemical called Voyana. She has to learn how to harness it before she hurts someone by accident. However, not everyone wants her to master her Source. Will she be able to control her Source in time to keep it from being used against herself and those she cares about? I'm only nine and i loved it. It actually felt as if I was in the book and sometimes i would stop the book and act it out. Mara starts of good but then she just falls apart. Trained ADS a warrior from another world she should become a better bad add. She is too soft. being brought up on the most violent planet of all. earth and loving her father like she did. I just don't get why she such a cry baby. giving away her father's ring for the city he built and she loves is just crazy. it just isn't real enough yet. An amazingly good read from a fresh new author! What did you love best about Danarko: Book One? You are drawn into the story in chapter one, hooking you immediately! It keeps you captivated the whole time! 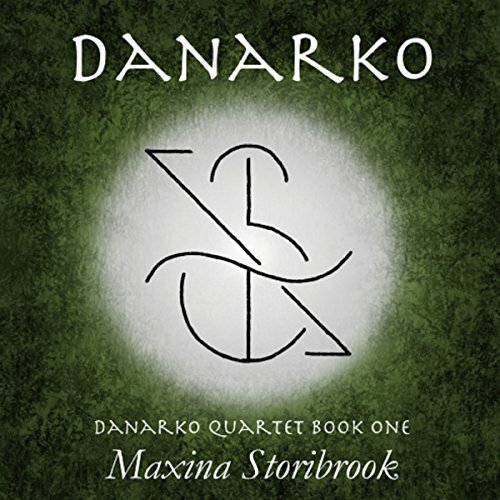 What other book might you compare Danarko: Book One to and why? This is a hard one because it takes place across several realms with different levels of technological development. So I would have to say Eragon by Christopher Paolini, Harry Potter, and the Ship Who Sang by Anne McCaffery all wrapped into one! Have you listened to any of Stephanie Bentley’s other performances before? How does this one compare? I loved the interactive planetarium! It was so awesome to hear about how it worked. Would love one of these on Earth! This is a fresh new author with lots of talent. She is great with her world and character development. She hit the perfect balance of fluff and meat. The story flows well and keeps you guessing. The Narrator did a fabulous job telling the story and keeping you seated on the edge of your seat! I was sad when it ended only because I wanted more!